In the Booth is proud to have been an accredited Australia-wide member of the Australian Bridal Industry Association (ABIA) since 2010. Our team are thrilled to have been awarded first place at various ABIA awards around the country for eight years running and in 2016, were honoured to be inducted into the ABIA Hall of Fame as an ABIA Ambassador. 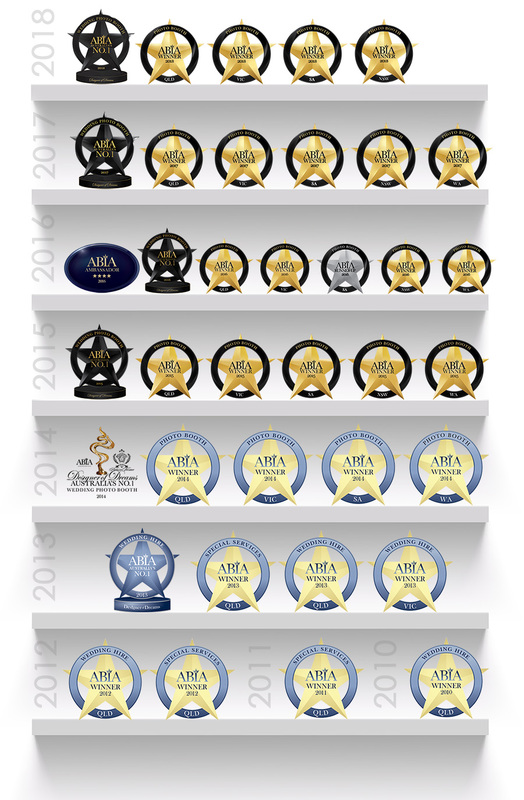 In 2014, In the Booth was very proud to win multiple ABIA awards in the brand new Photobooth hire category. This was a particularly exciting day for our company as it was the first time the Photobooth industry was recognised as a category in their own right. The Designer of Dreams is a national bridal industry award designed to determine the most consistently rated wedding suppliers in Australia over a period of 4 consecutive years. Each year the ABIA holds annual state awards in Queensland, New South Wales, Victoria, South Australia and Western Australia. By combining the ratings received for each supplier in each State in each of the previous four years ABIA is able to determine the most highly and consistently rated wedding suppliers across forty different wedding categories. In the Booth has been very proud to be the winners of the Designer of Dreams award in the Photobooth category for 2013, 2014, 2015, 2016, 2017 and 2018. Our ABIA rating of over 99% in our category (as rated by our past clients) is testament of our commitment to service, and attention to every last detail. As Australia’s largest franchised photobooth company and with over 10,000 events up our sleeve, you have the confidence and security of a professional company behind your special occasion. Easy Weddings is Australia’s number one wedding planning website. In the Booth has achieved Five Star ratings from Easy Weddings for six consecutive years in 2013, 2014, 2015, 2016, 2017 and 2018 as reviewed by our past clients. In the Booth is featured regularly in Australia’s leading bridal magazines; Cosmopolitan Bride, Bride to Be, Hello May and Vintage Bride. 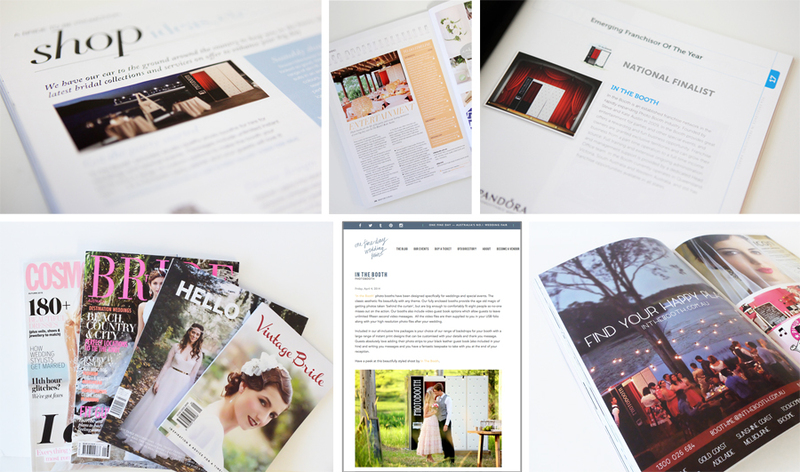 In the online realm we have been proud to be featured on leading bridal blogs such as Polka Dot Bride and One Fine Day. We were also very proud to be a finalist in the Australian Franchise Awards in 2012 and a proud member of the Franchise Council of Australia.